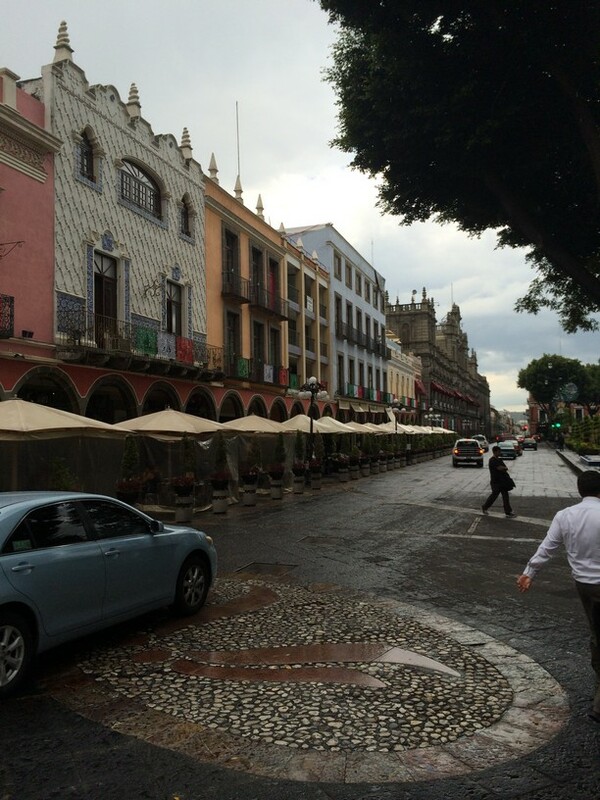 The Zocalo or City Center of downtown Puebla has a lot to offer. For starters this colonial city is colorful and feels almost European at times. In the Zocalo is a very beautiful colonial Roman Catholic Church named Puebla Cathedral. Construction began on this church in 1575 and the church was finally dedicated in 1649. It is extremely well preserved and the pictures do not do it justice. Here's a few random pics of the fam around the city. 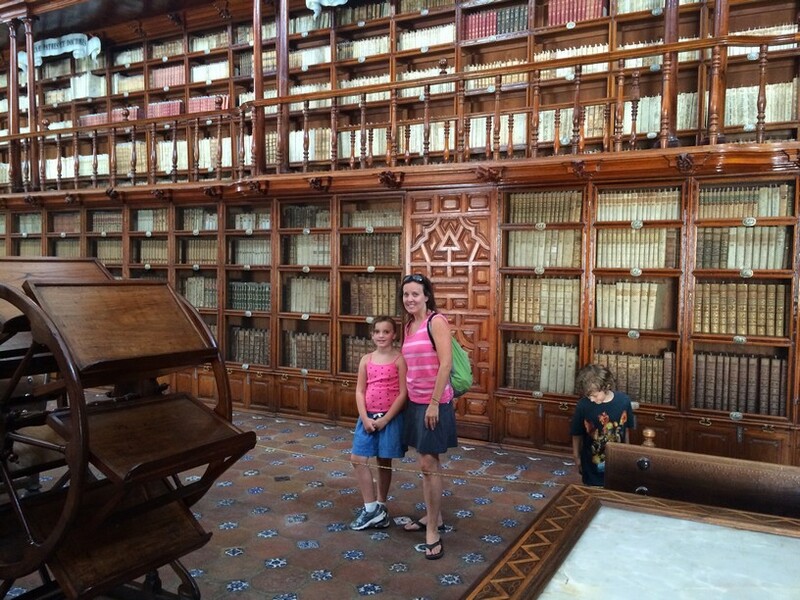 It took us a few tries but we finally found the Biblioteca Palafoxiana. Founded in 1646, it was the first public library in colonial Mexico, and is considered by some to be the first library in the Americas. It has more than 41,000 books and manuscripts but they are not available for checkout. Many of them are handwritten. It's a beautiful three story library. Mick, Elle and I enjoyed it but after hoofing it all day on foot Tag was bored and fortunately for us was looking to entertain himself quietly. Puebla is a great city. The people are friendly, the traffic is much better than Mexico City and the prices are a lot cheaper too, and there is tons for a family to do here. Random note, you can also get you knives sharpened by this guy on 1st Avenue.